“Student Presentations at Inspiration Point, overlooking the San Pablo and Briones Reservoirs.” by Samantha (Wiki Ed) – Own work. Licensed under CC BY-SA 4.0 via Wikimedia Commons. As you might tell from their name, students from UC Berkeley’s Berkeley Water Group Idea Lab (BWGIL) are passionate about water. The group aims to share knowledge about water use in California. Editing Wikipedia was a natural fit. That desire to fill in content gaps inspired the group to take a field trip to water resource sites, including Pardee Reservoir and the Freeport Regional Water Project Intake Facility. The goal: To take pictures that would illustrate the Wikipedia pages for those water resources. One of these photos is now part of the Pardee Dam page. Student editor Narayansg created the Delta Cross Channel Facility page, and included an image taken and uploaded by fellow student editor Willowjohnson23. And Megan uploaded a photo of the Freeport Diversion Facility tanks. 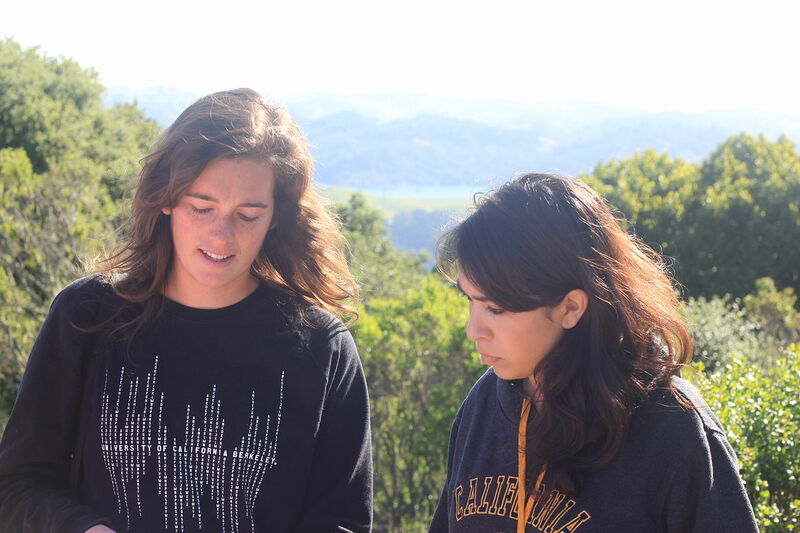 Megan made plans to coordinate with students from Dr. Julian Fulton’s California Water course at Berkeley. Those students were invited to contribute to articles as an extra credit assignment for the class. It’s inspiring to see what happens when student groups follow their natural curiosity and passion. When student groups contribute to Wikipedia, that curiosity turns into a resource for the entire world. This spring, our student group pilot will continue to work with UCSB’s Art, Design, & Architecture Museum Club, Portland State’s Lambda Pi Eta, and Oregon State’s Pi Alpha Xi & Hydrophiles clubs. If you know, or are part of, a student program or honor society with an interest in turning your passion into knowledge, contact samantha@wikiedu.org.